Very helpful salesman, overall great experience. If you need a reputable dealer, without the nonsense, and honest reciprocation. Deal with a dealer without a front. No cutter. A subsidiary of a major dealer. No middle man. Speak to Chris Mink. The newest player on the team, with the most seniority in the game. 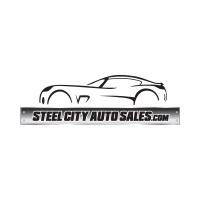 I would definitely recommend it, the Costumer Service is Super Nice they help you find what you need and what you like... We give our car in trade in with out a problem, and we got a proof for a SUV. Also the Price are so affordable that you can drive home with anything you like. Thank you Chris. Five stars to Jason . He definitely is one of the best if not the only best sales man today . Definitely not in the business to rip anyone off . Great experience. Friendly staff. Jason and Efrain worked the whole deal out via email and text message. Drove well over an hour to pick up the car that I wanted, because of how well I was treated beforehand. Highly recommended dealership. Thanks guys! I’m loving my Jeep!